It’s September 1998 and two students from Stanford University are registering the domain name google.com for the first time, meanwhile Paul and Steve have just opened the doors of their new company, Acorn Works. 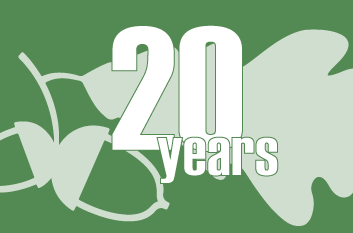 Twenty years later we’re celebrating the fact that it is two decades since Acorn Works was formed (and wondering whatever happened to Google)! Paul & Steve had the vision of putting their customers’ ideas first. They brought with them the combined experience of environmental design, manufacturing and fabrication, commercial interiors and warehousing logistics. A lot has changed over the last two decades, however Acorn Works still prides itself on building customer-led, smart solutions that put environmental design centre stage. The next phase looks equally exciting, as Acorn Works continue to grow stronger and taller with each passing year. Thank you to all customers and suppliers old and new for joining us along the way!